After including this Nannacay bag in last week's Lust List I haven't stopped thinking about it! I decided to do a little searching and see what else the designer offered. From mini's to totes, Nannacay's gorgeous straw bags are making a huge splash this season. I'm so in love with this mini - I mean how cute are the ombre pom poms!? I have a feeling these will go fast just like Chrissy's Kayu bag she featured yesterday. 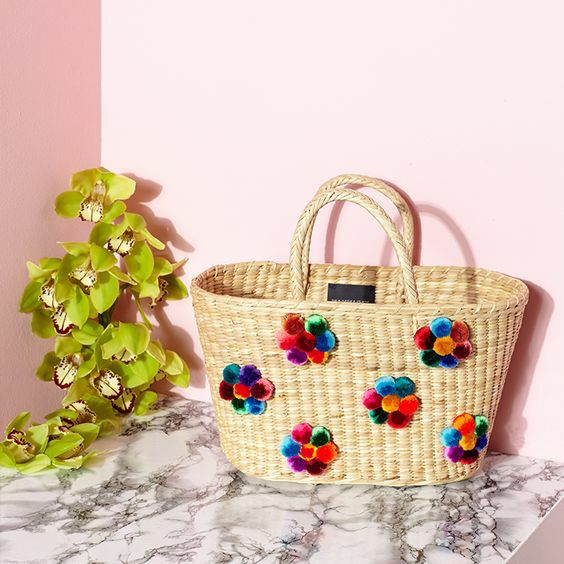 Straw bags are having a moment! They are no longer strictly a beach accessory but even an urban dweller like myself can tote one to work!